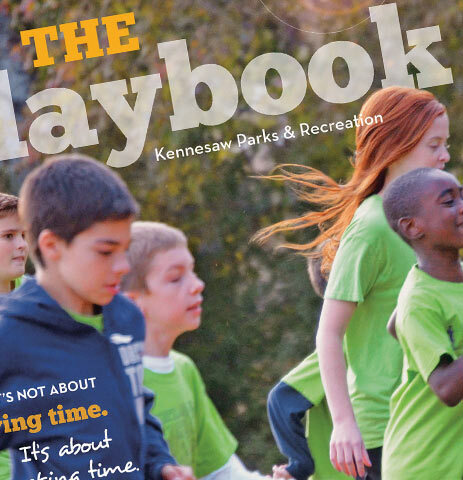 id8 worked with THE CITY OF KENNESAW PARKS & RECREATION to rebrand their seasonal program guide with the goal to help enrich the lives of area residents and visitors through recreational classes and experiences. 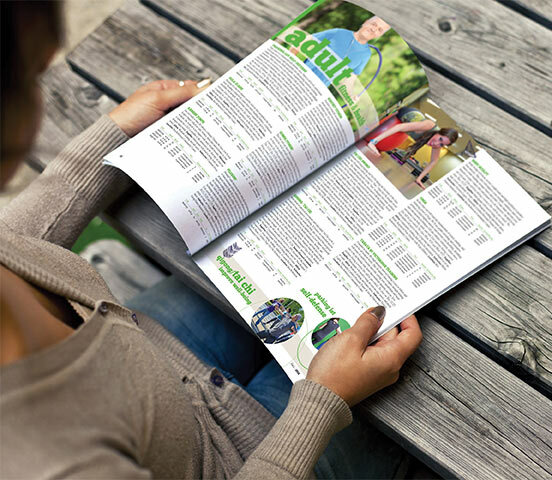 id8 knew that by collaborating with parks and rec team, the guide could be elevated to the level of a high-end magazine. 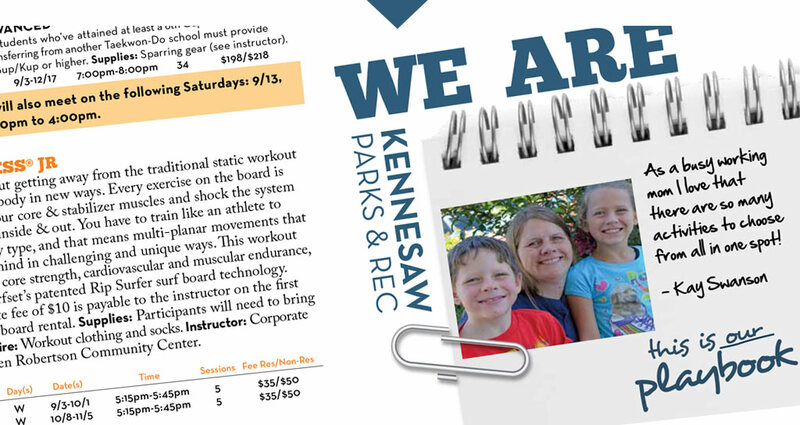 The program guide name was changed to “The Playbook” and new “I am Kennesaw” sections were created so that residents and instructors could take pride in their great city and the programs it offers by telling their personal and unique experiences about Kennesaw Parks & Recreation classes.